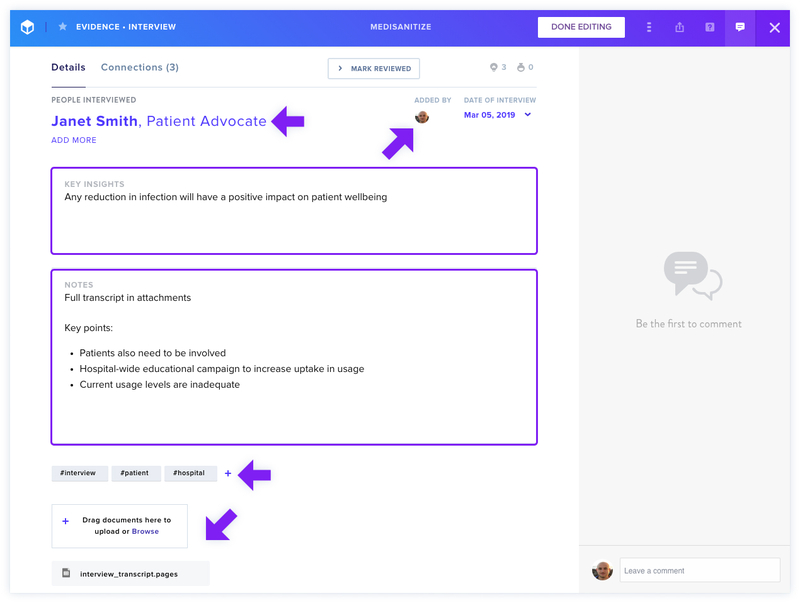 Adding Evidence can be done in several ways from within the GLIDR platform, as well as from anywhere online using the Google Chrome Extension, or directly from customer feedback using our Intercom Integration. 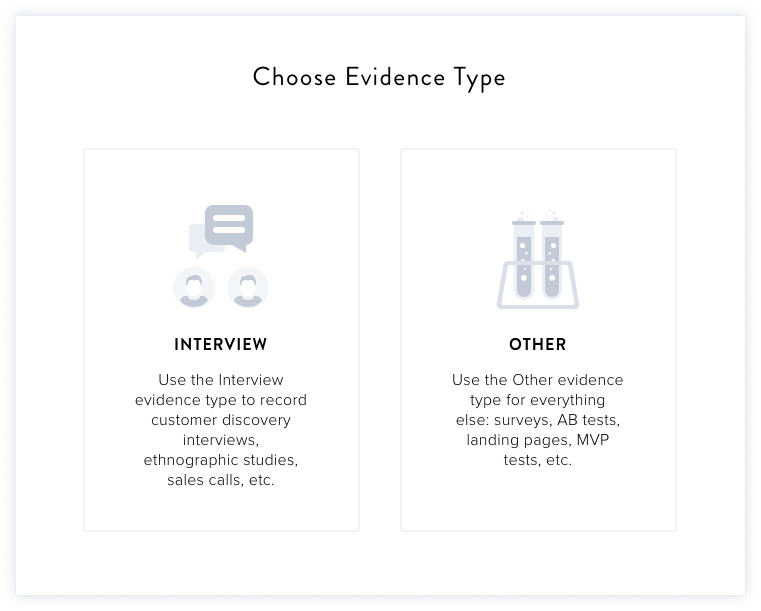 Evidence can take the form of customer interviews, A/B tests, research papers, or any other source of information that either validates or invalidates your Idea. 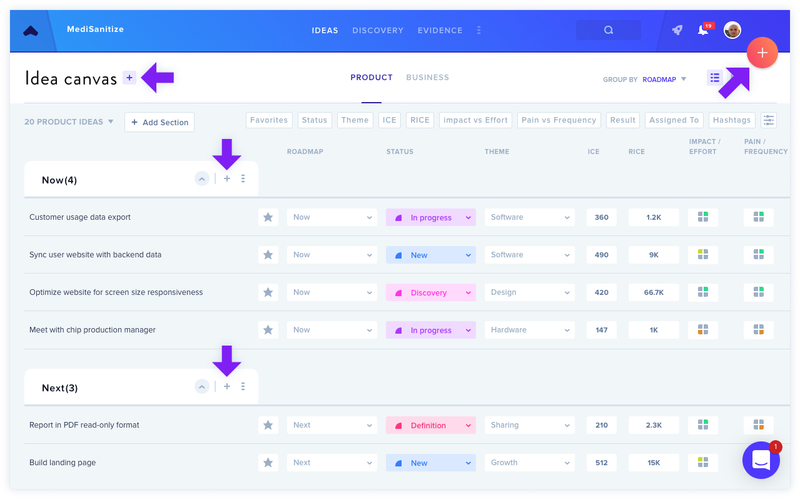 By storing your Evidence in GLIDR, you're building a library of information that will help you make informed Product and Business decisions. To add Evidence, click the red + button in the top right hand corner, from anywhere in GLIDR, or the grey + button from the Evidence tab. You can select either Evidence • Interview or Evidence • Other, depending on the type of Evidence you're adding. While both types allow you to add key insights and a more detailed summary, Evidence • Interview allows you to add the interviewee's details to give more context to your data. To get the most out of your Evidence, fill each of the fields out with as much detail as possible. You can give more color to your Evidence by adding tags and uploading documents such as interview recordings or transcripts, spreadsheets or reports. The video above shows an example of how an Interview can be summarized into key points to help validate the connected Ideas. To learn more about connecting your Evidence to Ideas, click here.